A compact instrument for emanding pianists. On the W.Hoffmann 120 Professional piano, the geometry of the soundboard and the dimensions of the hammerheads are designed to optimise sound diffusion and maximise your pleasure in playing. 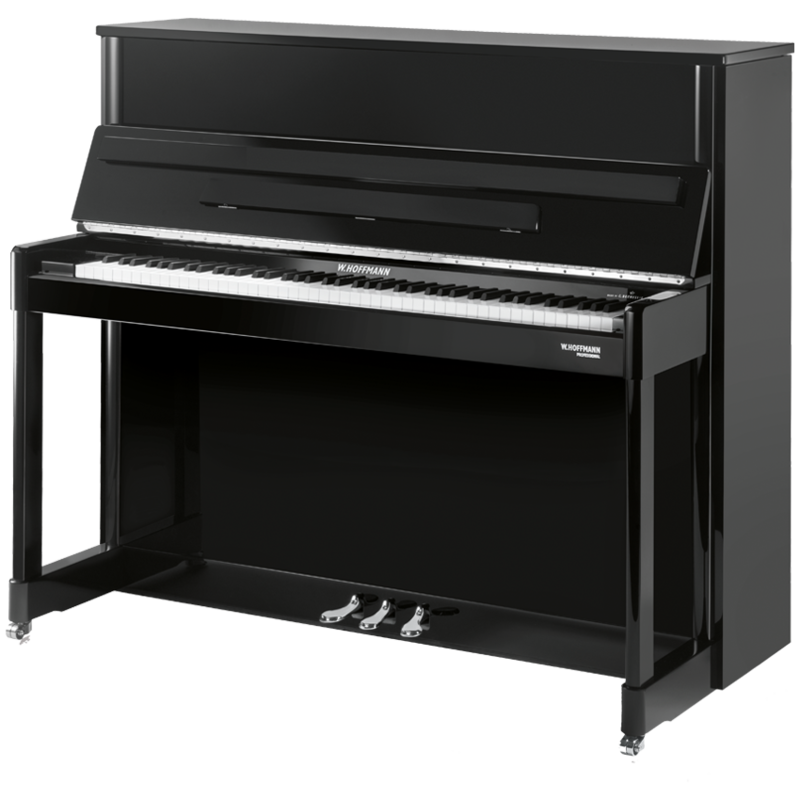 The W.Hoffmann 120 Professional upright can be equipped with the Bechstein Vario mute, which allows you to play any time, without disturbing anyone, while still enjoying an unaltered touch. This digital device stops the hammerheads just before they hit the strings, digitalises the notes using sensors, and plays them in headphones using samples recorded on a concert grand piano. Characteristics W.Hoffmann 120 Professional: a mid-height upright of professional quality.